Do you have some kind creative outlet that you use, in order to express what’s going on with you, and in your life? Did you know that creating art is really good for you, both emotionally and mentally? Today we are really excited to have Janaina Oliviera, of With2Worlds.Org as our guest on the show. Janaina uses Digital Art to tell her stories and she also teaches these skills online. She loves to share these skills with others because she really believes in using an artistic expression of our ideas, for maintaining good mental health, so listen in now, to find out more about Janaina and her creative approach to life. Brazilian born Janaina, who started out, back in the day, as a Card Maker, is a Digital Scrapbooker and a Storyteller. She views herself as a Digital Artist because she’s fascinated with all kinds of Digital Art and she really makes every effort to communicate and teach people some of the skills that she uses, in order to tell her stories. She has her blog, she has the classes that she teaches, where she shares her unique style of art and now she also writes a column for Scrapreneur.Com, about Digital Art. 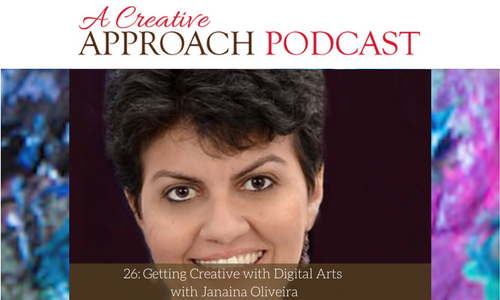 Listen in today, as Janaina speaks about the creativity in her life and she reflects on the topic of A Creative Approach. The Design work that Janaina does for others. You can download a PDF list, with a guide to all the apps that Janaina uses and what they do. Janaina has a Facebook Group called 2wards Digital Education. She goes live on Thursdays, so sign up! Janaina has a document, posted in her Facebook Group, about the apps that are for Androids, and the ones that are for iPhones. What ‘artsy’ means to Janaina. The therapeutic value of creating art mindfully. Janaina’s recently completed studies, where she combined her creativity in art with her approach to solving problems. The reason behind the particular route that Janaina has taken, with her schooling. How Janaina got started with her Scrapbooking. Janaina’s early life and how she got onto that path that she’s on, currently. What it really takes, to become an artist and create great art. The importance of learning to use the things that you learn. Being fearless and having the courage to put your own twist on things, regardless of what others may think. Why Janaina really loves the work of Byron Katie. Some questions you could ask yourself, to discover your hidden creativity. How Janaina uses regular pictures of her life, to create her art. The different looks that Janaina creates, using different Digital Products. Why Janaina stopped doing Paper Scrapbooking. There is really something for everyone, in Digital Art. 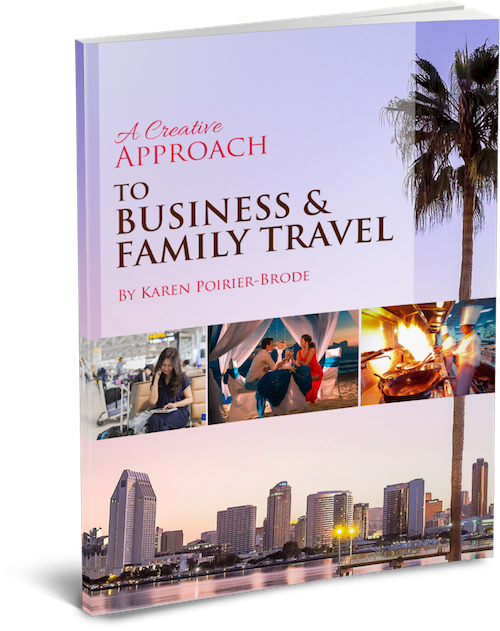 Download this free PDF for tips on business & family travel.